Kei, as people fondly call her, has lived a life of conflicts and contradictions. While she had always seen herself eventually taking up Law, her undergraduate degree in Sociology made her ask whether this was the right step to take. Sociology forced her to to question a lot of things. It taught her that, most of the time, getting the right answers meant asking the right questions, too. Initially, she saw the study of law as something rigid, with set ways, and not dynamic enough when it came to interpretations of the law. So instead of going straight to law school after graduation like some of her batchmates, she took a gap year and taught Sociology in a state university before finally taking up law. Now, she finds the twin training of sociology and law as helpful tools in her policy work as a staff member of the Office of the Deputy Executive Secretary for General Administration in Malacañang. She has also devoted most of her life to public service, starting in student government as early as when she was in the third grade. 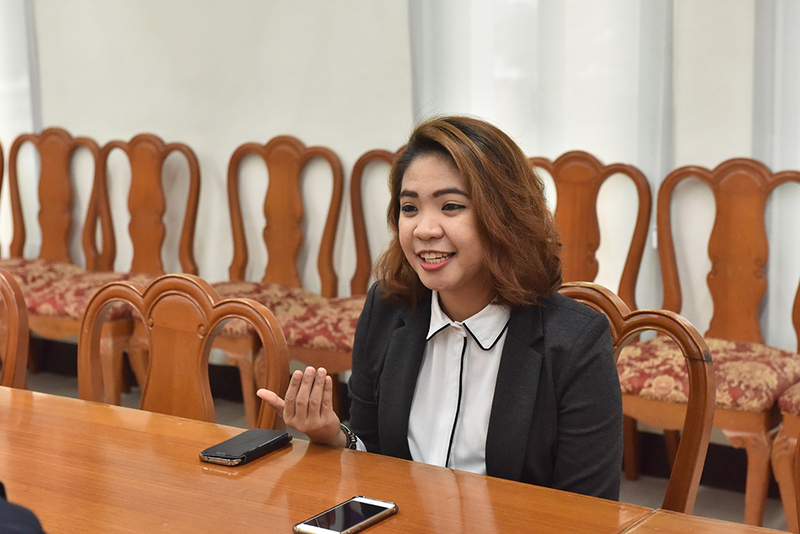 While her batchmates in University of the Philippines College of Law focused on getting good grades in order to get recruited by big law firms as interns and eventually as associates, Kei knew from the very start that she wasn’t interested in joining the private sector, wanting to link her education with her advocacy. She continued teaching Sociology in all her years in UP Law, enriching her lessons with what she learned in Malcolm Hall. Kei joined the Office of the President (OP) towards the end of the previous administration while waiting for the results of her bar examinations. With the start of the current administration in 2016, her immediate boss, Deputy Executive Secretary Michael Ong, himself a graduate of UP Law, offered her an opportunity to stay in the OP and continue to be part of his staff and of the Office of the Executive Secretary (OES). Given a week to decide and with other offers to work in the offices of a senator and several representatives, she chose to stay in the Palace. “I honestly wanted more action, to be in the middle of things with great impact. I wanted to see how things were run, and to learn more about governance firsthand,” she says. Her normal workload includes regular monthly high-level policy meetings. Work in the Palace is naturally diverse, given its wide mandate and functions, so Kei appreciated how they were initially asked about their interests and advocacies. When she expressed interest in development work, she was assigned to represent the OES in policy meetings with the National Economic and Development Authority (NEDA), particularly the Investment Coordination Committee and the Social Development Committee. Apart from NEDA meetings, she has also had the opportunity to sit in Cabinet cluster meetings, such as the Economic Development Cluster and the Human Development and Poverty Reduction Cluster. In these meetings, discussions on the formulation of policies take place. 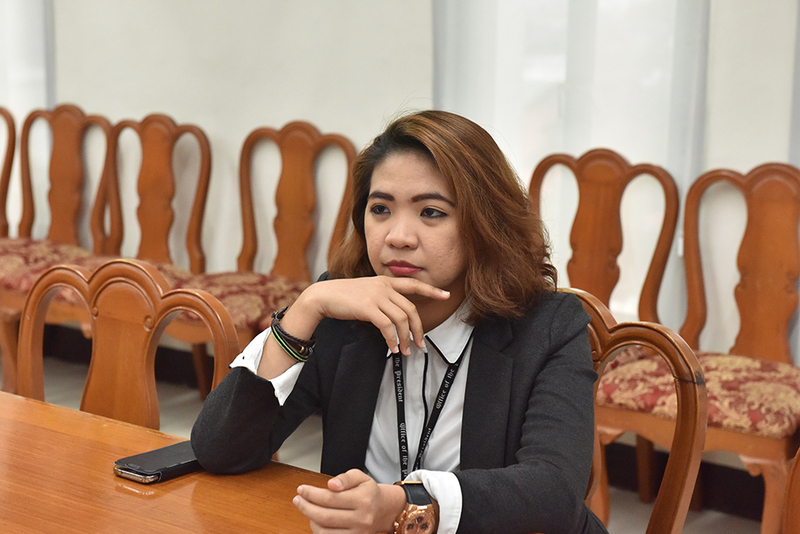 Her UP Law education greatly helps her in dealing with heated discussions with various senior representatives from other government agencies. Her experience as a law student has helped her in projects involving a certain level of policymaking, such as the drafting of a UP Diliman Students’ Magna Carta. According to Kei, the current administration’s policy direction is infrastructure-heavy as seen in its “Build, Build, Build” program. Before projects like a subway system, airports, seaports, or railways are approved, technical aspects need to be ironed out. How many families will be displaced? Where will they be relocated? How much traffic will this cause? Are there right of way issues? Are these projects economically viable? While some issues generate controversy, Kei admits that one cannot win all the arguments. She declares, however, that “We are winning the battle for better infrastructure and faster implementation of infrastructure projects.” Her hope is that ten or twenty years down the road, when this infrastructure helps Filipinos gain social mobility not just physically but also economically, she can proudly say she had a hand in the projects when they were just on paper. She reveals that one of her proudest moments at work was to be assigned to draft and evaluate the Executive Order (EO) on the Establishment of Smoke-Free Environments. She is happy to hear feedback from smokers and non-smokers alike on how the EO has been a deterrent to smoking simply because it makes smoking more difficult with restrictive measures. She stands by the EO and is confident that it will hold in court. Of course, working in the Palace—an office both highly political and highly politicized—will always raise a few eyebrows. Kei, however, recalls a seminar conducted by the Civil Service Commission on public service ethics and accountability, from which she learned to know where one’s loyalty should lie. She is firm in her belief that government work is public service and that it is always important to keep in mind the constitutional principle that public office is a public trust. “Many people don’t know how these kinds of evaluations are done because they have no experience in government work. If your principles are intact and you are true to your core, while some criticisms are definitely warranted and necessary, others just become noise,” she adds.